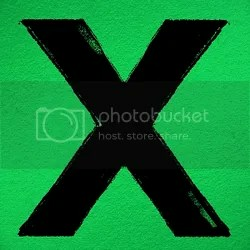 x is the second studio album by English singer-songwriter Ed Sheeran, released on June 20, 2014. The album peaked at #1 in twelve countries and it was the most-streamed album in the world in 2014 according to Spotify. So the thing I like about this album so much is that it’s so personal and Ed is stepping far out of his comfort zone in some tracks. On the other hand, this album is very true to who he is, whenever I listen to it I get a feeling that this is almost too genuine to be true. There are a lot of songs on this album that are centered around Ed and his guitar, one of the best of those songs is One. That has been a true favorite of mine, a quiet minimal guitar pop song and Ed singing the chorus in his head voice, sustaining a note of 17 seconds (!) near the end. I kind of split this album in two and make a difference between the old faithful Ed Sheeran sound and the ‘out of the box’ type of tracks. Now, the ones that are typical of Ed are songs like I’m A Mess, Bloodstream (about an experience with MDMA he once has), Tenerife Sea (a lovely guitar song in triple time), Photograph and the amazing Thinking Out Loud, which is in my opinion the best song that has been released this year. Also, have a look at that wonderful MV, that’s some good dancing for you. Of these other songs, I think I like Tenerife Sea best since it has a lovely melody and amazing vocals. I just used to overlook it a couple of times but now I have come to love it a lot. The surprise on this album is that Ed joined forces with some people that encouraged him to step out of his comfort zone, and the best example is the collaboration with Pharrell Williams on Sing, a real bullseye if you ask me. It’s an amazing Justin Timberlake inspired song that makes it impossible for anyone to sit still. Myself, I loved that hip-hop ambience and Jason Mraz-y rapping in Don’t, a song that is actually about Ellie Goulding! He’s not afraid to be explicit, and he shouldn’t be if you ask me. It makes it all the more honest. Nina has a lovely bounce to it and I instantly liked this song when I first heard it, and just like Runaway it’s Ed Sheeran 2.0 with just a little more edge to his usual songs. The real surprise is the rap song The Man with just a slight influence of R&B/hip-hop, this is Ed exploring new grounds and he actually has a hidden talent! Not the best track or anything, but it’s fun to listen to and I almost fell off my chair when I first heard it. Last but not least, special credit goes to the closing song Afire Love, a song about Alzheimer’s disease. Now there aren’t many songs about this disease and I really hope some people who know someone who has it have found strength in this wonderful song. It’s as beautiful as an Ed Sheeran song can get and although I think Thinking Out Loud would’ve worked better as the last song, this one has a better message. All in all, one of the best albums of 2014 and definitely one of my personal favorites that has been on repeat for months now. Recommended!